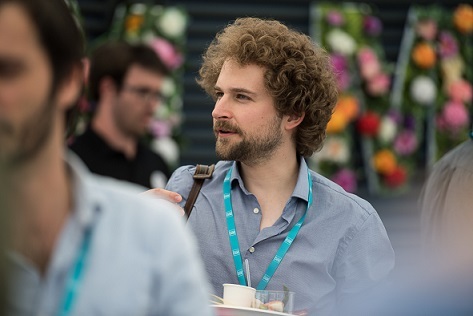 I am a Post-doc Researcher at the Institute for Macroeconomics and Econometrics of the University of Bonn (Germany). Before joining Bonn, I was a Post-doc at the Institut d'Anàlisi Econòmica (IAE-CSIC), MOVE, and Affiliated Professor at the Barcelona Graduate School of Economics in Barcelona (Spain). I received my PhD from the European University Institute in Florence (Italy). A detailed CV can be found here. Business credit lags GDP growth by about one year. This contributes to high leverage during recessions and slow deleveraging. We show that a model in which firms use risky long-term debt replicates the slow adjustment of firm debt. In the model, slow-moving debt has important effects for real activity. High levels of firm debt issued during expansions are only gradually reduced during recessions. This generates an adverse feedback loop between high credit spreads and low investment and thereby amplifies the downturn. Sluggish deleveraging slows down the recovery. The equilibrium is constrained inefficient because firms exert an externality on the holders of previously issued debt. 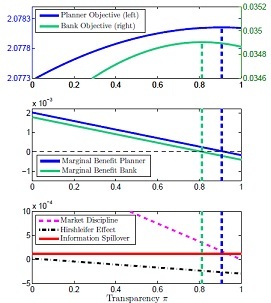 The constrained efficient allocation substantially reduces macroeconomic volatility. We introduce long-term debt (and a maturity choice) into a dynamic model of firm financing and production. This allows us to study two distortions which are absent from standard models of short-term debt: (1.) Debt dilution distorts firms’ choice of debt; (2.) Debt overhang distorts investment. In a dynamic model of production, leverage, and debt maturity, we show that the two distortions interact to reduce investment, increase leverage, and increase the default rate. We find that the macroeconomic effects of debt dilution and debt overhang can be important: A financial reform which increases investment, output, and welfare in a standard model of short-term debt can have the opposite effect in a model with short-term debt and long-term debt. Firm market power raises growth in the presence of financial frictions. The reason is that self financing becomes more effective if firm earnings are higher. We test this mechanism using Korean manufacturing data 1963-2003. We find that more concentrated sectors grow faster. 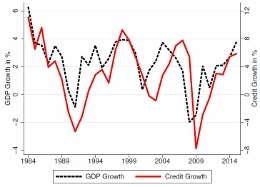 This positive empirical relationship between concentration and growth gets weaker as credit becomes more abundant. Using a simple growth model, we study counterfactuals. The observed rise of concentration in Korea until the mid-1970s has increased manufacturing value added 1963-2003 on average by at least 0.6% per year. The effect of firm market power on worker welfare is ambiguous. During the 2019 summer term, I am teaching the Macro sequence of Introduction to Economics in the B.Sc. in Economics of the University of Bonn. During the fall of 2018, I was teaching the first half of Macroeconomics in the M.Sc. in Economics of the University of Bonn. In spring 2019, I will teach a course on Firm Debt and Macroeconomics in the Macroeconomic Policy and Financial Markets Program of the Barcelona GSE.